So far Michael Fu has created 18 blog entries. The GameChanger app helps baseball fans, students, and family members to track the baseball game in real time. It is designed to help coaches and players to track their stats result digitally and allow fans who are not able to be at the game to see the game in process. 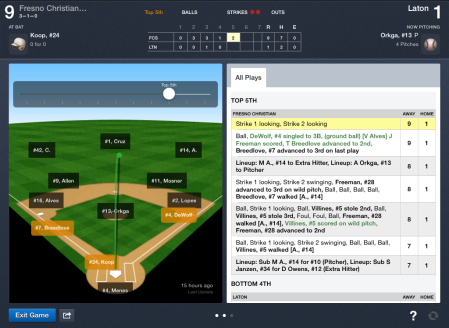 The GameChanger app helps baseball fans, students, and family members to track the baseball game at real time. It is designed to help coaches and players to track their stats result digitally and allow fans who are not able to be at the game to see the game in process. The app puts a focus on a more efficient way to collect data and better way to connect fans, players and coaches. GameChanger is now available for baseball, softball and basketball. Currently only working on iOS system and on the internet, GameChanger allows members to track the schedule, roster, season stats, and so much more. Searching for better way to record the game datas, I discovered the app on Apple Store that creates much efficient way to record the game. While a new user first downloads the app, simply search the team that you want to follow and request to become a fan. If the user already has an account, go through the log in process, and wait for the admin to confirm the request. For new users, the sign up page will show up and allows user to create their account. After becoming a fan, users can view the game schedule as well as the information of the rosters. Since the GameChanger is in sync with Maxpreps, the game result will automatically upload to Maxpreps website. Once the game begin, users on the iOS devices can watch the game in process. Coaches can also create their own team, view the whole team stats and send announcements via e-mail. While the game is in process, admins can record the result on the scoring mood and do all the lineups as well as see the scorebook automatically create by the app. The best features given to premium users is the ability to watch the game in process as well as view the statistics for full pitch counts and be able to replay the game on personal devices even after the game is over. After the game is finished, GameChanger created a digital scorebook along with highlights, box score, away stats, home stats, plays, as well as a short recap story. However, only the admins have the full access to all of the data. For the fans, players, family members, the access is limited and they can not see all of the details unless they become premium fan. This feature prevents other teams from seeing their opponents data. Other features of GameChanger include the ability to connect through Twitter and Facebook, send out alerts when the game starts and the result after the game is over. For coaches who prefer a paper version, the website also helps users create PDF files. The developer even created code for schools to put on their websites, to allow students to see the live scoreboard. Click here to view your Fresno Christian account on GameChanger. The writer can be reached via Twitter: @fmiachel_0501. For more articles, read the Feb 27 article, Sophomore discovers musical talent, excels. After defeating Laton, 21-3, on March 3, the Eagles host Stone Ridge Christian, March 7. Also check out the schedule for this year baseball season on Fresno Christian athletic website. The overall result fo the FC is currently 3-1. The first league game will be play on April 7. Winning two games in a row, the FC baseball team traveled to their first away game in Laton, March 3. Focusing on training new pitchers freshman Roman Endicott, finished the game with his first appearance on the mound. Multi-schooler Jorge Castro took the mound in the first and all the way through the third inning. Giving out two strike outs in the first and second inning, Castro allowed Laton to gain no points but only two runners on the base. In the bottom of the third inning, FC lost a point due to a wild pitch. Castro quickly came back after walk and left the hill with three strike outs against Laton. Scoring first for the Eagles is also Castro, with a strong hit to the centerfield, Castro was on second base and later sent home by senior Dillion Owens. 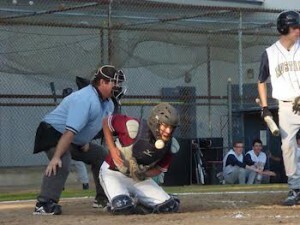 Owens later stole home and gained the second point for the team. The player receiving the most RBIs belongs to starting catcher Tyler Sellers, ’16. Although starting late in his batting, Sellers racked up four RBIs with one double and two triples between the fourth and fifth innings. In the bottom of the fifth inning, Roman Endicott started out on the mound for the first time. Though having trouble getting the ball to the strike zone, Endicott gave out two walks before he struck out the third batter. Followed by the strike out, Endicott got a ground ball to second base and multi-schooler Sam Janzen, took got the second out on first base. Laton scored two points on a double, Endicott finished the next batter throwing only strikes and struck out the batter. Later the coach of Laton agreed to end the game in the top of the sixth inning. The Eagles will play their next game against Stone Ridge High School, March 7 on the north field at FC at 10 a.m.
For more information check out GameChanger recorded the game stats of the game against Laton. This writer can be reached via Twitter: @fmichael_0501. For more sports, read the March 2 article, Baseball sport shorts: Avenal. Designed by Lukas Korba, Octagon is a quick reflect game made for iOS, android, windows and Mac OS game. Designed by Lukas Korba, Octagon is a quick reflect game made for iOS, android, windows and Mac OS game. Players can not only play with their touch screen, but also has variety of choices to play the game include game controller and keyboard. The easy control of the game and the colorful graphic design quickly allowed Octagon to become one of the popular games on smartphones and other devices. Octagon is now the 15th most popular game on the Mac app store since it was uploaded into the market on Oct. 30, 2013. There are two modes of playing Octagon: classic mode, in which the goal is to avoid all the blocks, gaps and safely arrive at the destination. 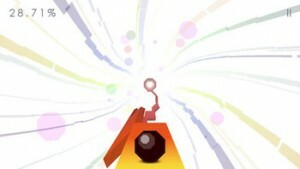 The other mode is endless mode, just like Temple Run there is no end for the game. The randomly generated patterns allow players to challenge themselves and keep themselves in focus and alive as long as possible. Min Lee ’16 has become one of the top Octagon players in the world. On top of the 206,806 players Lee is competing with, she currently holds the 40th place worldwide with game level 2264. Despite the fact that Lee joined the game almost a year after it was published, she has achieved a great status in just a short amount of time. Such success in a short period of time makes others wonder whether there is a tactic or special strategy to complete each level faster. Although Lee has reached an unbreakable record for the FCS, she recommends others do not get too devoted to this game. For more information of the Octagon, check out Featured app: Octagon. For more features, read the Jan. 8 article, Local PBS showcases exclusive Downton Abbey preview. People come all the way from Japan and stopped by Jiquing Village to enjoy the lights and Christmas spirit. Despite this being my fourth year of study in United States, each year during Christmas, I have never spent my holidays here in the States. Although people in Taiwan know about this holiday, people rarely pay attention to this holiday. This year I left early for Christmas break to be reunited with my family. During the time I spent with my family, we decided to explore this island that we have lived on for decades and in search of different cultures in Taiwan to help others who have never visited the place I called home. Regardless, the plane landed at the Taoyuan International Airport, and my journey began. The first stop I arrived at was the Taiwan High Speed Railroad Station in Taoyuan, and the price of the ticket at only three dollars. I arrived in the heart of the country, Taipei. Although Taipei city might seem small on the map, this city contain one-tenth the population of Taiwan. After arriving home from the, Taipei Metro, I set down my luggage and begun my trip. One of the first buildings we visited was Taipei Arena. Opened in 2005, this large multi-function gym provides more than 15,000 seats and allows different varieties of sports to play indoor without the disruption of the weather. This arena also has the ability to freeze the floor for ice skating. When people asked me what the most special part of Taiwan is, I have to say the food. Shillin Night Market, one of the many places people have to visit, has held the title of representing the food of Taiwan for many years. Famous for many different foods, I could not even named all of them. Some as simple as fried chicken, shillin sausage, oyster omelette, cold noodles and even stinky tofu could be the most delicious dishes one could ever have. On Nov. 29, my dad and I traveled to Pingxi and visited another popular tourist hub in Taiwan. Well known other than food, Pingxi is the only place the government allows people to release sky lanterns. Because I did not want to miss this unique chance to truly become involved with the Taiwanese culture, we bought a lantern and released it into the sky with wishes written on the lantern. The first day of the December, I traveled to Tamsui, a harbor that used to be the biggest port in Taiwan and also had the name of Eastern Venice. One thing that stood out in Tansui is the street artists who gathered there from all over the place. Singers, artists, buskers and people who make molds of your hands. Beside all of these special characters of Tansui, my favorite part was the sunset. Sitting beside the ocean with the breeze coming from the sea, I spent the most delightful time watching sunset with Tansui special gigantic ice cream that is over 20 inches tall. On Christmas Eve, I found the place with the most Christmas spirit was next to our village. 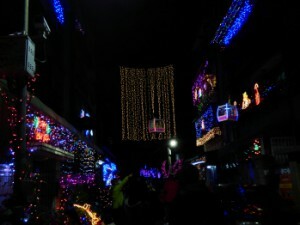 In Jiquing Village, a tradition of decorating houses with Christmas lights has once again drawn tourists from many places to feel the holiday spirit. People came all the way from Japan and stopped by this romantic place under the lights and Christmas spirit to enjoy the special day of the year. Soon after Christmas, my family and I took the THSR to Kaohsiung where my dad originally came from and visited his two uncles since this is most likely the last time I can travel freely back and forth between United States and Taiwan. The next day I visited my mother’s family and then we head on to the airport and back to the United States. Although it is hard to feel the spirit of this huge holiday, this visit to Taiwan has become the most valuable memory for me. Even though I have lived with this culture over decades, it is now that I realize the opportunity to go back has now become harder and harder. But with the new friends here at FC, I believe there are many more beautiful memories waiting for us to create together. The FC cross country team traveled to Woodward Park to participate in the CIF Central Section Valley Championship, Nov. 20. Total of 86 schools from division one to division five compete on this most important meet of the year. Over thousand runners fighting for the top fifteen titles or top five teams for each division in order to get into CIF State Cross Country Championship. In the boys division 5 meet, senior Soren Hoffman once again finished first for the Eagles with a time of 19:37. Finished five placed behind, sophomore Isaac Hoffman completed the meet with time 19:54. Coming in third placed, junior Michael Fu ran at time 22:13. Improved over minute from last meet, junior Glen Wang made his new personal record with time 23:38. Despite the shin problem which kept him away from a few meets, Isaac has improved by almost two minutes on the last meet of the cross country season. Running his last race with for the FC, Soren recalled what he learned from the cross country either physically or mentally. Coaching first year for FC, Doug Daniel was satisfied with the final meet at Woodward Park. Although FC cross country team didn’t make it thought the valley championship, CIF State Cross Country State Championship will be held at Woodward Park next Saturday, Nov. 29.
he Eagles cross country team participated in the West Sequoia League Championship held by Minarets High School, Nov. 12. The Eagles cross country team participated in the West Sequoia League Championship held by Minarets High School, Nov. 12. Six schools including FC joined this meet before the final challenge, the CIF Central Championship at Woodward Park. Although it is the smallest meet the cross country team has ever competed in this year, runners have been working their best to finish the season with a bang. In the boys varsity race, senior Soren Hoffman finished first for the Eagles with a time of 20:02. He was followed by sophomore Isaac Hoffman with a time of 21:23. Junior Michael Fu ran at 23:30. Lastly, Junior Glen Wang joined the team and ran 24:49 in his first meet of the season. Hoffman who recently recovered from an injury noticed a difference between this meet and previous ones that made the WSL Championship harder than normal meets. Running in his first varsity meet with the team, Wang has overcome the anxiety and the hills to accomplish his first race. Coach Doug Daniel is grateful for all the hard work runners have put into this year. With only one week of the season left, Daniel encouraged his runners to put up their best effort for the next meet. The Eagles cross country team will next compete in the Central Section Valley Championship at the at Woodward park, Nov. 20. The first and third Thursday of every month, ArtHop, a free event, held by the Fresno Arts Council (FAC) is presented to the community. 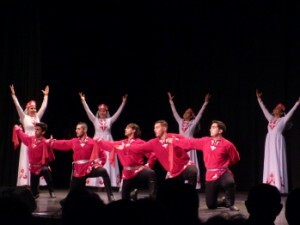 Since 1979, a non-profit organization founded by the FAC allows local artists in Fresno to present their works and get connected with the community. 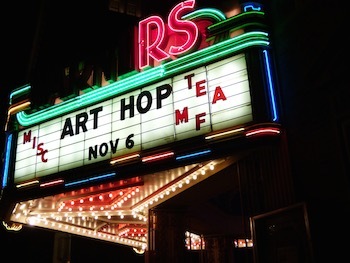 Over 50 studios, galleries and museums participated in ArtHop makes this a unique and special event in Fresno. Local artist Mimi Mott-Smith has participated in ArtHop for fifteen years, her latest exhibit Views of Fresno was presented in Broadway Studios. Views of Fresno is a series of minimalist painting. Mott-Smith uses simple lines and basic color to represent her hometown. This series includes houses, schools and children playing in the yard. Living in L.A., artist Michelle McCreary joined this distinctive event with her friend April Alkema and experience this special culture of Fresno. McCreary has been doing art throughout her adult life. She finds her interest in collage and fascinated with given new life to the old objects. Photographer Jesse Merrell, starts his journey of ArtHop this year in May. He has been participated ArtHop ever since in the Broadway Studios. Starting not in photography, but three dimensional art, Merrell, exploring in several medium, finds photography most favorable at the moment. The upcoming ArtHop will be held from 5-8 p.m., Nov. 20, in Metropolitan & Outlying Areas. For more information check out ArtHop schedule. For more details, check out interview of Mott-Smith on FresnoBeehive. For more features, read the Nov. 12 article, Fresno salutes Coast Guard, veterans. 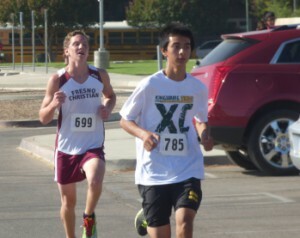 The FC cross country team participated at the Clovis North campus in the Clovis North Twilight Invitational, Oct 24. Unlike most of the cross country events, this meet was separated into different sections. The top two runners of each team ran in the 2 mile varsity invitational which is the hardest one to qualify in. Two more groups were created for the third and fourth placed runners. 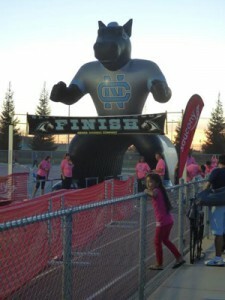 Clovis North creates their invitationals in this manner to make it easier and to keep the chaos at bay. Along with this it makes it easier to to track the hundreds of runners participating in these events. Along with a strange way of organization, the meet was held at night creating a few problems with visbility. Recovering from his injury, senior Soren Hoffman was kept out of the meet in order to have the best performance for the West Sequoia League championship, Nov. 12. Still traveling in China, Glen Wang, who is still traveling in China will soon join the team, Nov. 1, for the West Sequoia Championship, Nov. 12. Running in 3rd and 4th place varsity team, junior Michael Fu and sophomore Isaac Hoffman both broke their personal records. Holding the new title for the varsity runners in the FC cross country team, Isaac hopes he can better his pacing. Running in the darkness, Fu found this invitational harder than the other meets. Working on each runners pace is a difficult task, yet Coach Daniel believes that there is just a little more work to be done. The Eagles will next compete in the West Sequoia League Championship, Nov. 12. On Friday afternoon, October 17, the Eagles cross country team traveled to Woodward park for the Roughrider Invitational. On Friday afternoon, October 17, the Eagles cross country team traveled to Woodward park for the Roughrider Invitational. The meet was separated into five sections. Small school’s, large school’s, freshmen, sophomore boys, junior boys, small school varsity, and large school varsity. A total of 1,490 runners participated in the meet. This was because of the fact Woodward park is the course for the Central Section Valley Championship, Numerous schools arrived to compete in this meet in order to be ready for the final meet. Recovering from his injury, runner Soren Hoffman was unable to run in the even and is working hard to get back in shape for the championships. Junior Glen Wang also was not able to run because he is currently in China reuniting with his family. Sophomore Isaac Hoffman was unable to join the meet because he is working on his mileage and also rested this meet for the championship in November. In the 5000 meter varsity small school meet, junior Michael Fu finished the meet with a new personal record 21:24.30. By adding core workouts to the program and hill runs into the practices, Coach Daniel was happy with the results. Even though Fu has improved a lot compared to his record from the beginning of the season, Coach is looking for more potential out of him. The Eagles will next compete in Clovis North-Sancony Twilight Invitational, Oct. 24. Michael Fu, Writer contributed to this article. 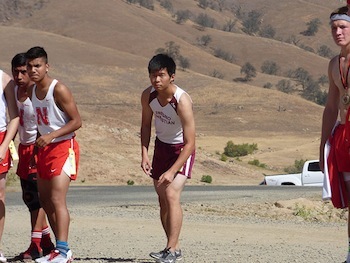 The Eagles varsity cross country team participated in Woodlake Invitational at Lake Kaweah, Oct. 11. Despite not being able to attempt the Clovis Invitational at Woodward Park, Coach Doug Daniel felt that being a part of the other meet allowed the team to practice. The course was 3.1 miles long and surrounds parts of Lake Kaweah. 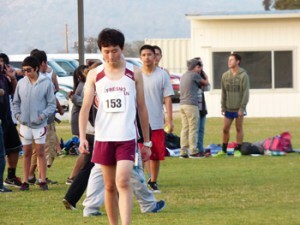 While the Cross Country team is usually made up of 5 players, Michael Fu represented the team because of injuries and previous engagements. Freshman Matthew Oliver was unable to participate in this meet due to his injury. Sophomore Isaac Hoffman is working towards his academics while also recovering from previous injury. Junior Glen Wang played percussion in the Reedley Fiesta Parade. Senior Soren Hoffman was busy taking the SAT and was not able to attend the invitational. Junior Michael Fu was the lone runner for the Eagles in the varsity race. He finished the course with a time of 21:47.3. Improving his previous record by two minutes, Fu made his fastest season record. Cross country coach Doug Daniel was pleased about the race and is looking forward to the next race at Woodward park. 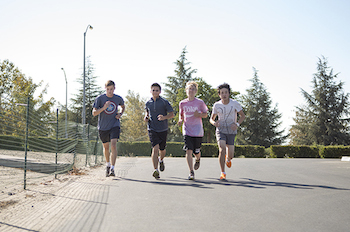 The FC cross country team has been practicing in Woodward park everyday, and now they will meet their first challenge. Since the CIF State Cross Country Championships will also be held at Woodward park, the Roughrider Invitational will be a very large meet for all competing high schools. The Eagles will next compete in Roughrider Invitational, Oct. 17. Michael Fu, Writer, contributed to this article. First year cross country coach at FC, Doug Daniel has returned to his alma mater after graduating from Fresno Pacific University in 2013. Daniel developed a great passion for running at an early age. Holding not only one but several school records, Daniel did not only placed 6th in the Central Section Cross Country Championships (CIF) in his senior year, but also represented FC for many track and field championship meets. Dedicated to his running career, Daniel first began track at FC in 2006. Back in 2006 the cross country team was first introduced to FC by, Mr. Ericlee Gilmore, who passed away in Sept. 2014. Although having a hard time adjusting to the new program, Daniel made it through his sophomore year. After graduation from FPU in 2013, Daniel returned to FC to coach for the first time for the junior high and varsity cross country team. Daniels says that his dedication to FC stemmed from the memories he made there as a student. Inspired by Ericlee Gilmore, Daniel dreamed to go back to FC. Although Daniel’s dream of coaching alongside Gilmore did not get to come true, Daniel found new motivation for him to stay in FC. 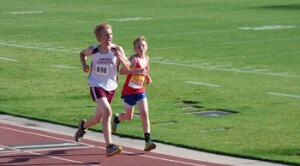 Ever since Gilmore introduced Daniel to running at 4th grade, Daniel has looked up to him. As assistant coach, Daniel makes decisions and works back and forth between the junior and varsity teams. 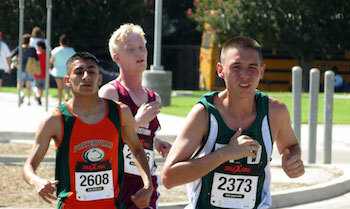 At FPU Daniel joined the cross country and track team and met another inspiring coach, Eric Schwab. With five cross country season meets left, Daniel is working towards not only bettering the team, but also learning from the team to become a better coach. 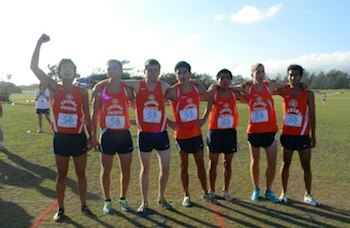 With FC students and multi-scholars, the FC varsity team made up just enough runners to compete as a group. Coach Daniel shows his great passion in cross country running and practicing next to runners. Daniel sets his goal for this year to not only become a better coach, but also train him for longer distance races. Daniel will participate in Two Cities Marathon and Half as well as other meets in the next year. For more sports, read Oct. 17 article, Seasoned senior brings leadership, experience to team. The Eagles varsity cross country team competed at Firebaugh High School in Eagle Fly-in Invitational 3.1 mile course, Sept. 23. The meet was smaller than the usual with only 10 schools and 47 male varsity runners participated in the race. Senior Soren Hoffman, finished the meet with a time out of 21:07 followed by sophomore Isaac Hoffman, running first time in the 3.1 course with his personal record 21:25. Junior Michael Fu, ran with time 24:16. He was followed by freshman Matthew Oliver, with time 25:07. Junior Glen Wang, was not in the meet, he will participate in this first meet, Oct. 11. Sophomore Isaac Hoffman, running 3.1 miles course first time recovered from the knee injury. Coach Doug Daniel discussed the meet after reviewed the result on the Athletic.net. The Eagles’ varsity cross country team recently participated in the Sanger Invitational at Avocado Lake, Sept. 19. Unlike the Kingsburg meet on Sept. 6, the meet had a regular five kilometer course. Sophomore Issac Hoffman unfortunately suffered a knee injury and was kept out of the meet. 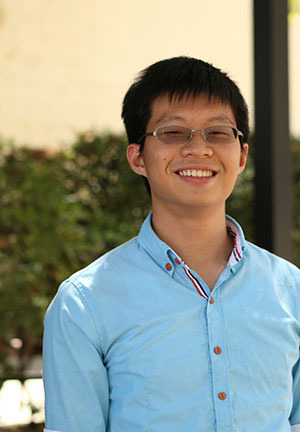 Glen Wang, ’17, joined late and was unable to participate in the event. Cross country senior co-captain, Soren Hoffman, finished the meet, and set his seasonal record of 19:09.24. He was followed by freshman Matthew Oliver, who finished the meet with a time of 22:29.61. Junior co-captain Michael Fu ran with a time of 24:09.79. After his first time running the full meet, Oliver set his personal record and discussed his strategy for the race. Hoffman joined cross country training for triathlons, and also set his new personal best record. Coach Doug Daniel was pleased with hard work of the team. The Eagles will compete in the Firebaugh High School, Sept. 23. For more sports, read the Sept. 18 article, Football sport shorts: Anzar. 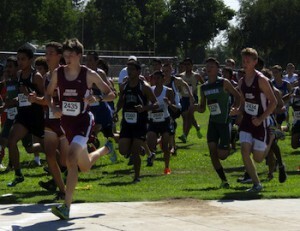 The Eagles’ varsity cross country team traveled to the Kingsburg High School, Sept. 6. The meet was separated into four sections: Freshman, Sophomore, Junior, and Senior. Instead of the typical three miles or five kilometers, the course was two miles. Lead by the new cross country coach, Doug Daniel, a brand new cross country season had just begun. Freshman Matthew Oliver completed his first cross country meet and placed 60th, creating his personal record of 14:03.36. Multi-schooled senior Soren Hoffman and sophomore Isaac Hoffman also completed their first meet of the cross country season. Senior Soren finished the course with a placement of 50th and a time of 11:52.11. Sophomore Isaac ran with 81 sophomores and placed 33th, with a finishing time of 12:01.03. Junior Michael Fu ran with seniors and placed 84th with a time of 14:16.32. Since the season just started, lots of improvements could be made. Oliver, who is new to cross country, was satisfied with his results, and is prepared to improve. Senior Soren says that while he is content with the results of the match, he felt his did not perform to the best of his abilities. He is planning to work on his pacing for the future. As a first-year coach for FC, Daniel congratulated his team on their effort. He later reported that he is very proud of his team’s performance. 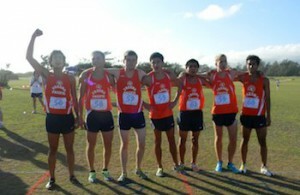 The Eagles run at Avocado Lake in the Sanger Invitational, Sept. 19. For more sports, read the Sept. 8 article, Volleyball sport shorts: Paramount. As Chinese New Year approaches, I want to share something about Chinese culture with my friends after spending my first semester adapting to the new environment and breaking through various difficulties. We use the lunar calendar to count the date of traditional holidays in China, so the exact date of Spring Festival varies from year to year, and this year’s Spring Festival is Jan. 31. According Chinese zodiac, this year will be the year of horse. In Chinese, we call the Chinese New Year “Chun Jie”, which literally means Spring Festival. Actually, Spring Festival was a totally different holiday before the Revolution of 1911, which was marked as the starting point of modern China. After, the introduction of the Gregorian calendar, Chinese government changed the name of Chinese New Year into Spring Festival so that people will not get confused by the two New Years in two calendars. Spring Festival is the most important holiday for the Chinese. In fact, Chinese people value Spring Festival as much as how westerners value Christmas. Even in some prisons, prisoners, guards and the warden celebrate Spring Festival together. In today’s China, we have eight days of vacation for Spring Festival (including the New Years’ Eve) in which the first four are designated by law. Traditional Chinese culture emphasizes reunion of the families, so people tend to rush back home during Spring Festival no matter what they do and where they are. In Chinese main land, we even have a special concept called “Spring Rush”, which is a situation similar to, but way more severe than what happens here in America before Thanksgiving. People start to order bus, train or plane tickets a month earlier than the holiday and people start to actually travel one to three weeks before the holiday. Take my family as an example. I live with my parents and my father’s parents in Beijing while my mother?s parents live in a city 150 miles away. So we usually spend the New Years? Eve (Chu Xi) and the first few days of the New Year with my father’s parents, visit some relatives, and then spend a couple of days with my mother’s parents and the other relatives. To most of Chinese people, Chu Xi is the most important day. In Chu Xi, one of the most important events for us is sitting by the table with a big family and enjoying a big dinner prepared by the whole family, although some people are getting lazy and started to eat in the restaurants. During the afternoon of Chu Xi, My whole family of eight would gather together and prepare the dinner. In some years, I was even the ‘head chef’ with grandma giving me advices. There are a lot of traditional dishes that have to appear on the dinner table at that night. The specific dishes depend on different regions, cultures and personal preferences. Here are some “necessities” for our family. Lastly, the most important Spring Festival food in the entire northern China is called “Jiao Zi,” or dumplings. We make hundreds of them for the big dinner. Besides the usual stuffing, we make a few of them with sweet red bean paste and coins, and we wish the people who happen to eat them will have good luck for the next year. And that’s why my cousins and I tried so hard to find the “luck” by looking for the slight difference on the surface of dumplings. Firework is another necessity for Spring Festival and it’s also my favorite since I was a kid. Strangely, I especially like those cheap firecrackers instead of those expensive, ginormous and fancy fireworks for display. It’s because there are so many ways to play firecrackers but after you lit a firework, all you can do is watch. And, the person who lights up the firework always has the worst view. No exceptions. 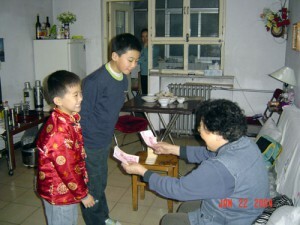 For adults, there is a tradition of giving kids lucky money, which is the major source of income for me in the whole year. There are too many interesting traditions about Spring Festival that I swear I can write a whole book about it just base on my own experience and the stories from my parents and grandparents. But what I can write in the article is limited. So, if you have interest in Spring Festival, you are welcomed to ask your Chinese friends as well as your Korean friends and Vietnamese friends as they celebrate that holiday in their country, too. And, this year’s Spring Festival experience is going to be a little bit different for me as I am six thousand miles away from home. But, fortunately, my Chinese Church is organizing a celebration on February. 8. Also, I will celebrate Chu Xi with my fellow international student Tom and his mother after the basketball game on Friday. In addition, I encourage readers to attend the Chinese New Year Parade and Festival in downtown Fresno on March 1, starting at 10 a.m.
For more opinions, read the Jan. 23 article, La Historia de un Viajero. Fresno Christian High School received an invitation to participate in the 13th annual Chinatown Revitalization Parade back in December. According to director Michael Ogdon, he didn’t even know there was such a thing. As it was, Ogdon let the invite sit on the “in-pile” for a couple weeks before asking junior drum major Eric Cowin his opinion of marching in another parade. “Well, we only got to do two parades this year, so maybe it’s a good idea,” Cowin said. So, the campus band drove to Fresno’s historic downtown and marched in the 30-minute parade as the first high school band to do so in its history. The following is director Ogdon’s account of the event. 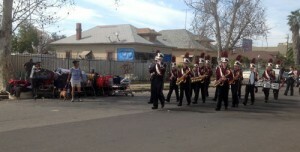 The Eagle band performed for the 13th annual Chinatown Revitalization Parade, March 2. They then continued to march and play for Shantytown spectators as well. In much the same feel as the town of Biola’s “56th annual Raisin Day Parade,” Oct. 20, the small town attitude of this gathering was during Chinese New Year from the beginning. With a start time slated for 12 noon, the band was plenty early in its caravan of parent’s vehicles, weaving around street blockades to the participant parking between the Mexican Baptist Church and a mortuary/crematorium., March 2. Fitting, too, in that this is the Chinese Year of the Snake. With nearly two hours to wait prior to the parade’s step off time, the band of 8, drum line of 9 and flag team of six walked a block north to the local Rally’s drive through for a snack and shade. Oh, the advantages of having a small group! Finally assembled and ready to go, the parade participants certainly were a varied crew. Two chinese dance troupes, John Cho’s Kung Fu School’s Lion Dancers (VIDEO) and the Chinese Consolated Benevolent Association’s Chinese Youth Group Dragon Dancers were the most appropriate ensembles to perform, followed by the Wong Family Benevolent Association. After that, a rather odd conglomerate of Scottish bagpipers, Oakland Raider fans, a Chaffee Zoo van, a pirate float and the Dusty Buns jeep. All came in the hope of revitalizing Chinatown. Honestly, there wasn’t an overwhelming crowd along the parade route, and only about 20 percent of those watching were Chinese. Fresno Chinatown‘s proximity to the homeless shanty town a few blocks south spiced up the audience with some rugged street people. A considerable police presence was seen on bikes and in cruisers. The fire academy contributed to the action sending a vintage truck along with it’s classic siren and horn adding to the Chinese drummers. It must be said, though, that even if the crowd was not very deep, they made up for it with their obvious appreciation for each parade participant. Lots of video cameras caught the action. Plenty of still photos were taken, too. And just as quick as the three block parade was marched, it was over. Sure, the band still had to march back to their parked cars, and they made the most of it with drum cadence and another rendering of their parade music, “Grand Entry Swing March,” by David Baskerville (1956). A quick packing of the instruments brought the band, drum line and flag girls to a parade of their own making. Ogdon’s thought was to offer the band a service project to the homeless. Why not? Everybody was already dressed and ready to play! There were not many who quite knew what to make of the uniformed ensemble as they took over the street just outside the Poverello House. A loud whistle from Cowin and the band was off to the drum line’s cadence, flag team supporting in unison from the back. Half a block down and a quick right turn brought the Eagle Band to a street full of cardboard and plywood lean-to houses built on the sidewalks. The loudest support came from the women inside the protective gates of the Poverello House as the band came into the compound. A U-turn and back out to the cars and the parade was completed. Fresno’s Chinatown certainly is in need of rebuilding. There isn’t much of what used to be a thriving subculture within our Fresno City boundaries. Perhaps the parade will bring attention and support to this deserving community. But the rebuilding of the lives of the homeless is not to be ignored. Who more than these need the hope that a bit of band music might bring? The tragic life circumstances trapped inside the cardboard walls of the shanty cries out for the Hope that a Savior can bring, a hope that a band can play, a flag can wave to, and a drum can pound out. For more opinions, read the Feb. 28 article, Disneyland brings relief to junior (VIDEO, PODCAST).